BioVeda Health and Wellness Centers focus primarily on obtaining and maintaining optimal health in a holistic and non-invasive manner. 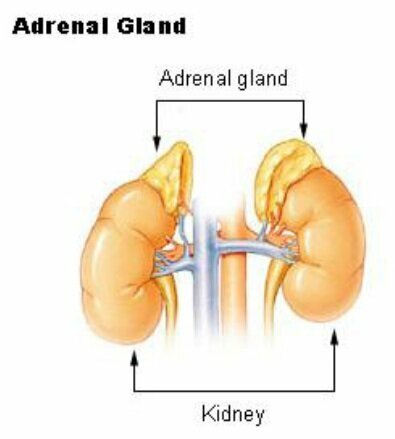 The adrenal gland is a major hormonal and stress control center of the body. A weak adrenal is associated with many ailments such as chronic fatigue, fibromyalgia, and pain. Adrenal health is key to a person’s overall feeling of wellness. What exactly do the adrenal glands do? They modulate the functioning of every tissue, organ and gland in your body to maintain homeostasis during stress and keep you alive. They also have important effects on the way you think and feel. The main purpose of your adrenals is to enable your body to deal with stress from every possible source, ranging from injury and disease to work and relationship problems. One of our recommended reads is a book by James L. Wilson, N.D., D.C., Ph.D. titled, “Adrenal Fatigue, The 21st Century Stress Syndrome?“. In the book, Dr. Wilson discusses what adrenal fatigue is and how you can recover energy, immune resistance, vitality and overall enjoyment of life. In modern society, these same responses are triggered by such circumstances as a difficult boss, air pollution, family quarrels, financial problems, too little sleep, overindulgence in or sensitivities to food. If your adrenal function is low, as it is in adrenal fatigue, your body has difficulty responding and adapting properly to these stresses. This can lead to a variety of physical and psychological health problems that are themselves a further source of stress. Want to know more about adrenal fatigue and how to combat it? Order the book, “Adrenal Fatigue” through Amazon to learn more. BioVeda Health and Wellness Centers also offers nutritional supplements such as Cell Trace, Cor-Tex, and Re-Hydrate that may help with adrenal fatigue. Cell Trace helps to supplement the body’s supply of trace minerals, Cor-Tex is an adrenal cortex with fruit, root and herb and Re-Hydrate is a homeopathic solution that helps combat dehydration which can cause unnecessary stress and fatigue. Contact a Center nearest you for more information! I really like the information on adrenal fatigue. With all the toxins in our food and water supplies, I believe that we need to eat organic fresh foods and drink plenty of pure fresh water! Does this have anything to do with Ayurveda? I think it’s also important to figure out where you stack up on the “adrenal spectrum”. Some who think they have adreanal fatigue may actually be over-producing cortisol and be closer to Cushing’s syndrome. Here is a chart stacking up the different types of adrenal problems — it was helpful to me (scroll about halfway down): Adrenal extremes — could you be on your way to Cushing’s or Addison’s disease? Thanks for the information on adrenal fatigue. It is important for people to know how this affects their lives. I use maca myself, to help regenerate my adrenal glands, especially if I have coffee. It seems to work for me. I had Adrenal Fatigue at one time. I know it was from a lot of the things you stated above. I drank a lot of coffee and ate too many sugary foods. Now I drink more water, eat more veggies, take maca and try to at least walk a few times a week. All the above tips are good to help you stop it before it happens. If it is already happening I recommend that you try Maca, which is a natural root from Peru I believe. It naturally supports and regenerates the adrenal glands. It does need to be gelatinized to be absorbable though. Raw and organic is also best if you can possibly get it.